The Opening Night Master Chef Wine Dinner, held at Roger Sherman Baldwin Park on Friday, September 21, will honor Alex Guarnaschelli for her innovation and substantial contributions to the culinary world, as well as the 2018 Most Innovative Chefs (Susanne Berne, Bianco Rosso, Wilton, CT; Ben Freemole, The Tavern at Graybarns, Norwalk, CT; Julio Genao, Prime Stamford, Stamford, CT; Cedric Lamouille, Bistro V, Greenwich, CT; Jay LeBlanc, Knot Norm’s Catering Co., Norwalk, CT; Ben Pope, Mr. Koo’s Kitchen, Irvington, NY; Armando Sanchez, Washington Prime, Norwalk, CT; Antonio Selendic, Dubrovnik, New Rochelle, NY; and Brad Stewart, Flinders Lane, Stamford, CT). Gary Dell’Abate and Rob Burnett will co-host the evening, with Scott Conant and Adam Richman in attendance as special guests. The Innovative Chefs, as well as Festival Ambassador Chefs (Mogan Anthony, Village Social, Mount Kisco, NY and Locali, New Canaan, CT; Rui Correia, Douro, Greenwich, CT; Lisa and Steve Maronian, Sweet Lisa’s Exquisite Cakes, Cos Cob, CT; Nick Martschenko, South End and SE Uncorked, New Canaan, CT; Debra Ponzek, Aux Delices, Darien, Greenwich and Westport, CT; Robin Selden, Marcia Selden Catering, Stamford, CT; Matt Storch, Nomeez, Bridgeport, CT, Match, Norwalk, CT and Match Burger Lobster, Westport, CT; Luke Venner, Elm, New Canaan, CT; and Ian Vest, Back 40 Kitchen, Greenwich, CT) will serve their gourmet cuisine alongside curated wines and artfully-crafted cocktails. The evening will end with a musical performance by CCB Reggae All Stars. Culinary celebrities Daniel Boulud, Scott Conant, Alex Guarnaschelli, Adam Richman and newly-crowned Next Food Network Star (and Ambassador Chef) Christian Petroni will be leading cooking demos, conducting book signings and mingling with festival attendees during the festival’s signature day on Saturday, September 22. Kathie Lee Gifford returns to moderate the event’s Meet the Masters Panel. Music superstar Tim McGraw will close out the 2018 event with a live musical performance on the Pepsi stage, as well as singer-songwriter Caroline Jones, who will serve as McGraw’s opening act. The Park City Honey Co.
12:30-7:30pm – Lawn Games will include corn hole, life size Connect Four and other fun activities. 12:30-5:00pm – The Celebrity Green Room, presented by Ethan Allen, will host celebrities and culinary experts in a luxury lounge while being interviewed by Serendipity contributingeditors Chef Matt Storch and Chef Robin Selden. 3:45-4:30pm – Meet the Masters panel, moderated by Kathie Lee Gifford, featuring a discussion with Adam Richman, Alex Guarnaschelli, Scott Conant, Daniel Boulud and Christian Petroni. 1:00-6:00pm – Two stages will feature cooking demonstrations from celebrated local experts and favorite television network stars. 12:45-6:15pm – The Tastings 101 stage will host tasting seminars with mixologists, brew masters and sommeliers. 12:00-10:00pm – LIFEWTR VIP Tent, offering private bars, secluded seating areas, private restrooms, private concert viewing area and a special VIP Ambassador Chef Dinner at 6:30pm, featuring cuisine from Ambassador Chefs including Carlos Baez, The Spread, Greenwich and Norwalk, CT, El Segundo, Norwalk, CT; Jes Bengtson, Terrain Garden Café, Westport, CT; Samantha Benjamin, The Dessertist, Croton on Hudson, NY; Arturo Franco-Camacho, Geronimo Tequila Bar, Fairfield and New Haven, CT, Shell & Bones Oyster Bar and Grill, New Haven, CT; Zachariah Campion, Bailey’s Backyard Farm to Table Restaurant, Ridgefield, CT; Albert DeAngelis, East End, Greenwich, CT; Joseph Giordano, Gabriele’s Italian Steakhouse, Greenwich, CT; Stavros Karipides, Famous Greek Kitchen, Greenwich, CT; Geoff Lazlo, Geoff Lazlo Food, Greenwich, CT; Stephen Lewandowski, Harlan Haus, Bridgeport, CT, Harlan Publick, Norwalk, CT and Harlan Social, Stamford, CT; Christian Petroni, Fortina, Stamford, CT and Armonk, Brooklyn, Rye and Yonkers, NY; Mike Pietrafeso, ADA’s Kitchen & Coffee, Darien and Greenwich, CT; Nadia Ramsey, Meli-Melo, Greenwich, CT; Brian Reilly, Mecha Noodle Bar, Fairfield, New Haven and Norwalk, CT; Adam Roytman, Bar Sugo, Norwalk, CT; Brad Spence, AMIS Trattoria, Westport, CT; Bill Taibe, Jesup Hall, Kawa Ni and The Whelk, Westport, CT; David White, Bianco Rosso, Trumbull and Wilton, CT (Open to VIP Ticket Holders only). 1:00-6:00pm – NuKitchens Celebrity Book Signing offers attendees the chance to meet the authors behind favorite cookbooks and purchase a copy for book signings. 2:00-8:00pm – The Empire City Casino will offer friendly competition at gaming tables, with dealers offering prizes. 3:00-4:00pm – The 4th Annual Bartender’s Showdown presented by Ketel One, gives area mixologists including Katie Allen (Harlan Publick), Kate Fiore (Match), Catherine Larkin (Village Social), Kim-Anh Nguyen (Mecha Noodle Bar), Vincent Phillips (Prime Stamford) and Debra Smith (Our House SoNo) the opportunity to win judges and people’s choice awards for the cocktails they create. Hosted by Gary Dell’Abate, the panel of judges includes Kevin Des Chenes, Clare Galterio (Empire City Casino), Ted Koppy (NBC Connecticut), Juan Meyer (East End Restaurant’s two-time winner), Matt Scott (Fox 61) and Craig Ventrice (Beverage Director for Bill Taibe’s restaurants). 4:00-8:30pm - Bud & Burgers celebrates the area’s best artisan burgers. Participants include tastings from Budweiser, Bobby V’s Restaurant & Sports Bar, Cask Republic, Dan Rooney’s, Darien Butcher Shop, Our House SONO and Westchester Burger Co.
5:00-5:30pm – The seventh annual Burger Battle, hosted by Adam Richman, will crown the top burger in the area, judged by Daniel Boulud, Scott Conant, Alex Guarnaschelli, Christian Petroni, Robin Selden, Matt Storch and Bill Taibe. 4:00-8:30pm – South of the Border presented by Don Julio celebrates the bold flavors and festival cocktails from south of the border. Participants include Bodega, Brasitas, Don Julio, Evaritos, Our House SoNo, Rice and Beans, Sonora and Tomatillo. 4:00-8:30pm – The Tailgate Party celebrates one of America’s favorite past times, featuring samples from Blue Point Brewing Company, Cafe’ Bon, Dinosaur Bar-B-Que, Filippo Berio, Half Full Brewery, Hoodoo Brown BBQ, Izzi B’s Bakery, Jameson, Kettle One, KOW Steaks, Mike’s Organic Delivery, Pepsi Zero, The Blind Rhino, The Dough Girls, True Color Sparkling Wine, Val’s Putnam Wines & Liquors, Walter’s Hot Dogs and Woodford Reserve. 6:00-10:00pm – Lawn & Stage Table Cocktail Party will offer guests the chance to mix and mingle with Daniel Boulud, Scott Conant, Alex Guarnaschelli, Adam Richman and Christian Petroni over cocktails from 6:00-6:30pm. The seated dinner features a three-course meal prepared by Rui Correia of Douro with full table service, and the best seats in the house for the evening’s live musical performance (Open to Gold & Platinum VIP Ticket Holders Only). 6:30-8:00pm – Caroline Jones will kick off the evening’s musical performances on the Pepsi Music Stage. 8:30-10:00pm – Superstar Tim McGraw will close out the event. Tickets for the event are available via www.greenwichwineandfood.com or by calling 203.588.1363. Ticket options include the All Weekend Pass ($775), Friday’s Opening Night Master Chef Wine Dinner ($325), Saturday General Admission ($210) and Saturday VIP ($500), which is nearly sold out. Tickets for the Lawn Table Dinner and On-Stage Table Dinner are sold out. The festival weekend will be held rain or shine. Anyone under 21, including infants or strollers, will not be admitted. Pets are also not permitted. Greenwich Wine + Food celebrates community, charity, food, beverage and more in the Connecticut and New York area with multiple events throughout the year, including the Greenwich Wine + Food Festival presented by PepsiCo, the Serendipity Golf Classic presented by Pure Leaf Iced Tea, and the Serendipity Fun Run presented by Aquafina. The 2018 beneficiaries include the Multiple Myeloma Research Foundation, the Town of Greenwich Parks & Recreation Foundation and Ment’or. Greenwich Wine + Food is a part of Unger Media. For more information, visit www.greenwichwineandfood.com. 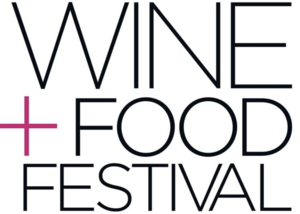 The Greenwich 2018 Wine + Food Festival presented by PepsiCo is a multi-day event celebrating the area’s rich culinary landscape and showcasing innovation in the food and beverage industries. It will benefit multiple charitable organizations including the Multiple Myeloma Research Foundation, the Town of Greenwich Parks & Recreation Foundation and Ment’or. Sponsors to date include 90+ Cellars, Aitoro, Baldor, Blancpain, Budweiser, Citibank, Coldwell Banker, Compass, Delamar, Don Julio, Empire City Casino, Ethan Allen, Filippo Berio, GE Monogram, Hospital For Special Surgery, Hotel Zero Degrees, Jameson, Jeep, Ketel One, Kim Crawford, Lifewtr, Manfredi, Meiomi, New York Post, NuKitchens, Pacifico, Pepsi Zero, PepsiCo, Pure Leaf Iced Tea, Rudy’s Executive Transportation, Rings End, Ruffino, Sam Bridge Nursery, Serendipity, Shreve, Crump & Lowe, Stamford Marriott, Stella Artois, Sysco, Unger Media, Westy Self Storage, Whistle Pig Rye Whiskey, Whole Foods and Woodford Reserve. * For more information, visit www.greenwichwineandfood.com, or the event’s social media channels: Facebook (@Greenwichwineandfoodfestival) and Instagram (@greenwichwineandfood).